B. Thomas (Arlington, Texas, United States) on 11 January 2019 in Architecture. This was a view from above of a different hotel resort, but I don't remember which one. 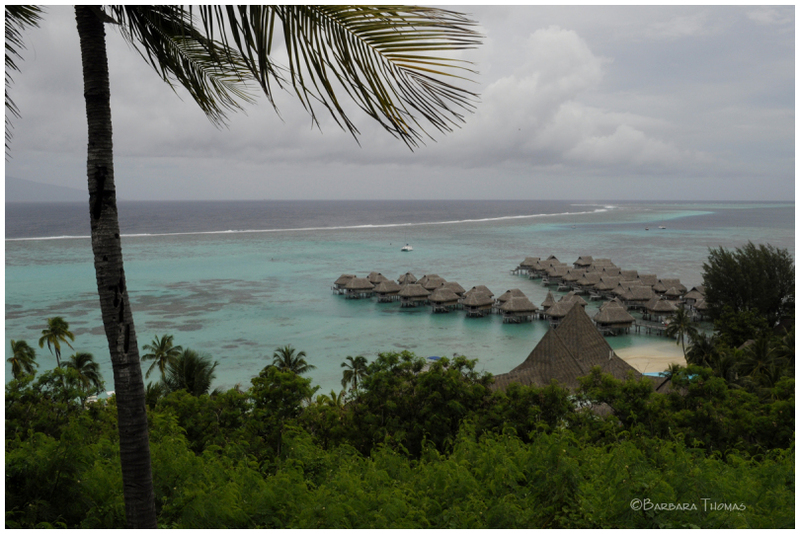 It had the over-water bungalows which we got to experience later on a different island. I wonder how those hold up in a storm being in that exposed location. Lovely view of these ater bungalows !! Must be great to stay here on moonliy nights just to see the water glimmering in moon light. the sky with stars andf the sound of the waves..
Beautiful photo of the view . @Ellebasi: It really is. I hope you get to go. This ;ovely view is beautifully photographed. It looks fabulous! That would be a wonderful place to stay for a vacation. A piece of paradise! I find view of the floating rooms and of the coast. Looks very enjoyable.